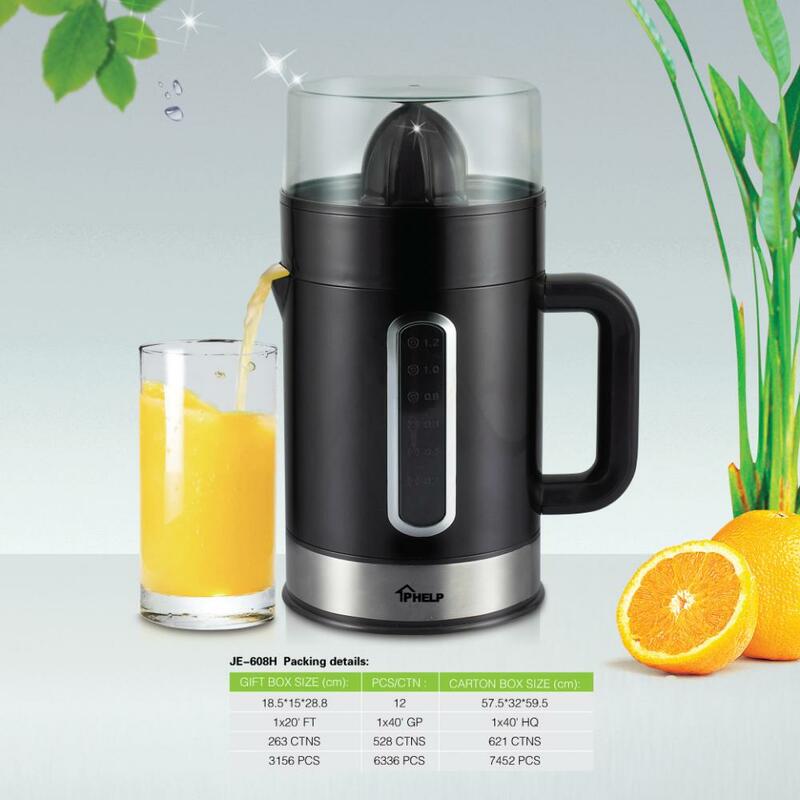 Strong Power, Black Body with Special Stainless Steel Decorating, Juicer Collector Tray help you to get juice directly into your cup, This Citrus Juicer is exactly the one you are looking for! 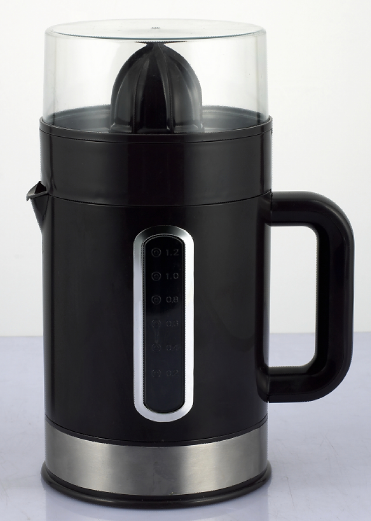 The basic color is Black with the capacity of 1.2L. The Juicer collector tray can help you to get juice directly in your cup, Just that convenient! And it only needs very easy operation and cleaning. Thus it is definitely the best choice of your family or your daily life! Looking for ideal Strong Citrus Juicer Plastic Manufacturer & supplier ? We have a wide selection at great prices to help you get creative. 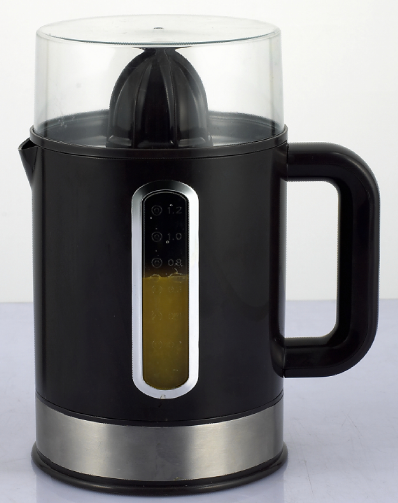 All the Electric Orange Juicer with Stainless Steel Decorating are quality guaranteed. 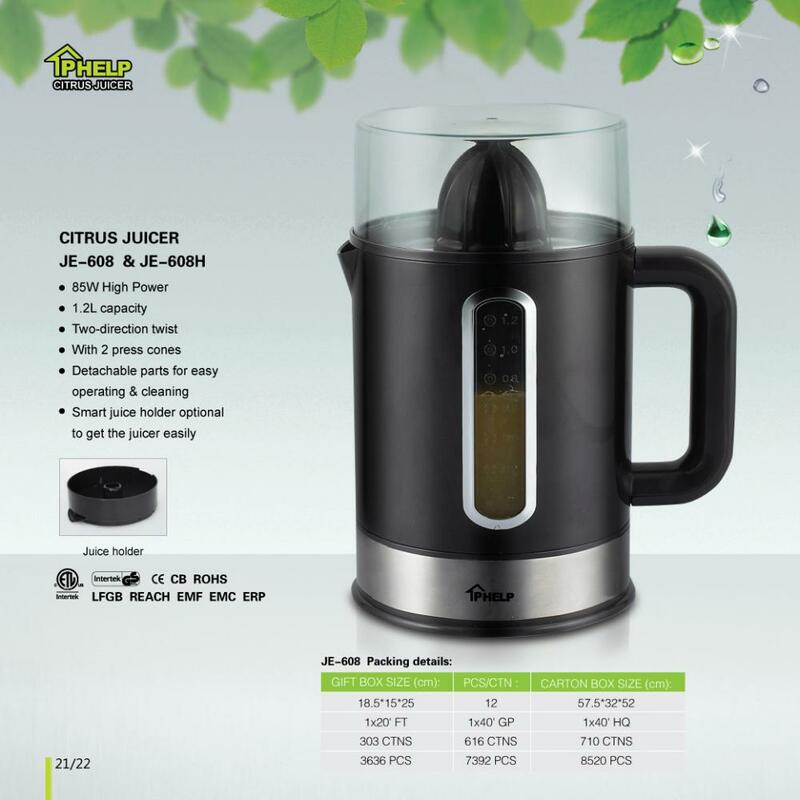 We are China Origin Factory of 1.2L Citrus Juicer 85W. If you have any question, please feel free to contact us.